With Brikks, Wolfgang Warsch once again succeeds in a clever little game of "Roll & Write" in the "Noch Mal" series! 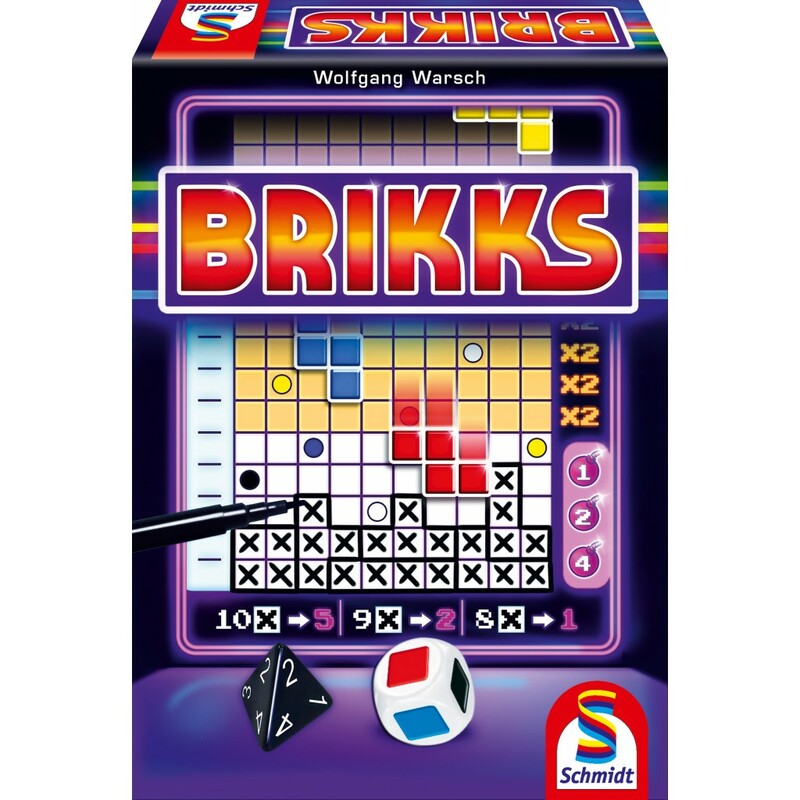 All players must write on their sheet the randomly drawn "Brikks" pieces. With the energy points, the parts can be turned in the desired orientation. Be skillful in putting the pieces in place to gain new energy points and win! Très sympathique roll and write plus difficile que Très Futé! Moins de combos mais le jeu en haleine et est aussi stressant que Tétris!